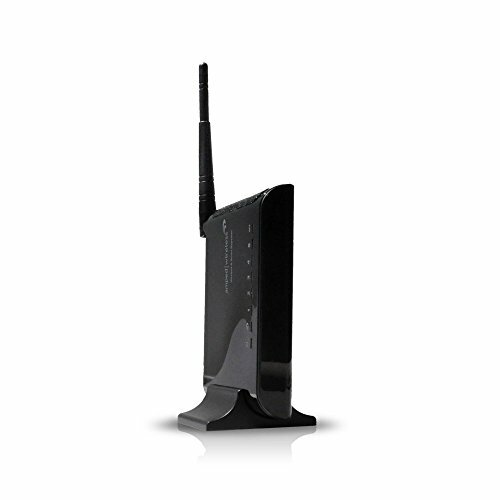 The Amped Wireless High Power Wireless-150N Range Extender expands the range of all standard 802.11b/g/n wireless network by repeating the signal from your home or office wireless router and redistributing it in a new "extended" location. Computers, game consoles, networked Blu-ray players, televisions and other networked devices can then connect to the Range Extender using Wi-Fi or wired Ethernet cables (up to 5 wired connections available) to access the extended network. The SR150 Range Extender eliminates wireless dead zones and extends wireless and wired network coverage throughout your home or office and is compatible with most brands and models of standard 802.11b/g/n Wi-Fi routers and access points. Fast 150Mbps wireless speeds is great for everyday web activities such as E-mails, music streaming and web browsing.